We are a fully insured, professional and experienced Arboricultural company with more than 27 years’ experience in all aspects of tree contracting and arborist services. 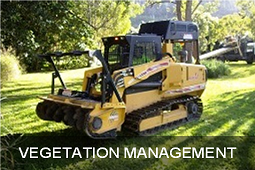 This includes all tree removal services on the Sunshine Coast as well as conservation and vegetation management. 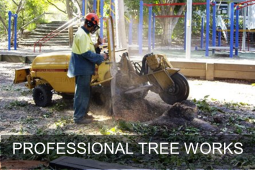 We deliver a wide range of tree care solutions to the local Sunshine Coast Area including tree pruning, tree felling, tree removal, stump grinding and tree transplanting services and offer a 24-hour emergency tree service 7 days a week. 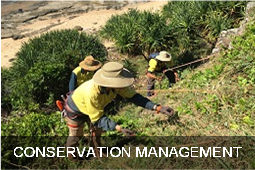 We also offer vegetation management and conservation services along with arboriculture consultancy services including pre-storm assessments, tree health programs, the development of application reports, management/assessment of tree protection and retention on construction sites and tree surgery reports. We are a highly skilled team of professional arborists. We are fully qualified to deliver all services according to our customers’ needs and are trained in the principles, techniques and hazards of Arboricultural management and environmental services. ArborCare Queensland is a certified member of the Queensland Arboriculture Society (QAA), Arboriculture Australia (AA), Ecological Society of Australia (ESA) and The Weed Society of Queensland (WSQ). Eco Goats Qld are a small vegetation company committed to sustainability, enhancing our valuable natural resources and recognising the importance of environmental and sustainable practices within an evolving marketplace. We have an innovative approach to land management using (small ruminants) goats. We facilitate habitat restoration in riparian and other ecologically sensitive areas, managing firebreaks and fuel loads for bushfire management. Goats love to browse declared and environmental weeds. We provide alternatives to mowing, slashing, burning, use of harmful chemicals and labour by using effective alternative methods such as goats.